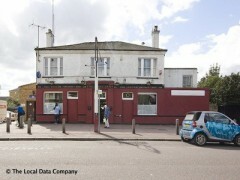 A typical neighbourhood boozer. Definitely not beautiful but the staff are friendly enough and the beer isn't too expensive. Can't say fairer than that!!!! !